You’re standing at the river’s edge. The guys or gals at the fly shop have said that the dry fly fishing has been fabulous. So you’ve tied on the size #14 elk hair caddis they recommended. But where should you cast your fly? This tip is not meant to insult your intelligence. Rather, it reflects how easy it is to miss rising fish. Sure, the ones that jump halfway out of the water are obvious. But the largest trout often make the smallest ripple. Their snouts barely break the surface. Spend a minute or two scanning the surface for the subtle rises that are easy to miss. This is good advice. The trout are not always where you think they should be. The best spot might be the water through which you need to wade to get to the next best spot. Fly fishers in drift boats do not cast to the middle of the river. They typically cast to the banks — right where you are standing. If you’re fishing a large river, think of the first eight to ten feet from the bank as a small stream. You probably don’t need to make a twenty-yard cast. You’ve hit the jackpot if you see deeper water along the bank. This is where trout find shelter from predators and easy access to food. This is where fast moving water (a riffle) rushes into a slower, deeper section of current. Sometimes, the riffle empties into a pool. I remember an afternoon on the Yellowstone River south of Livingston, Montana where I fished nothing but a riffle. That’s where the rainbows were feeding on blue-winged olives. Sometimes, the trout are below the riffle in the current itself. These runs can be short or long. Watch for a moving foam and bubbles. This is the food line! I especially rely on the foam line when fishing in slower moving rivers like the East Gallatin in Montana or the Owyhee in eastern Oregon. You won’t always find trout in these places, because they offer minimal protection from predators. But these are great feeding spots for trout when the insect hatches are in full force. Often, the more gentle side of a “seam” (the imaginary dividing line between fast moving current and slow water) is a great place to cast a dry fly. Trout will sip flies there, knowing they can quickly retreat to a riffle if they see the shadow of a bird swooping down on them. Some rivers – or stretches of rivers — do not have pronounced runs. Rather, they have a steady flow and depth from one bank to another. If this is the case, look for big rocks. I’ve caught trout in front of, behind, and beside big rocks. Some of these rocks stick above the surface, others do not. One of my favorite stretches on the Gallatin River south of Big Sky, Montana, works like this. When I find a decent-sized rock, I know I’ll find trout. I particulary enjoyed this post. 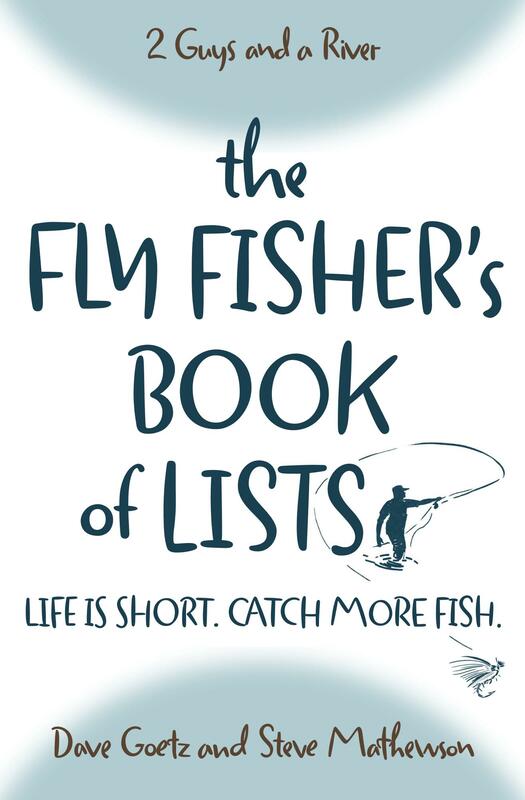 A good book to read about the spots to cast your dry fly and how to fish them, is still the one wrote by La Branche, “The Dry Fly and Fast Water”. Thanks, Davide! We appreciate the tip on La Branche’s book. I need to read it. I would also recommend casting a dry fly where 2 seams meet. I also love fishing dries near trees that have fallen into the water. Tight lines all. Both places are great. I’ve caught trout in both kinds of places. Unfortunately, I’ve also caught the trees a few times in the latter scenario (haha)! I remember catching a 20″ cutthroat on the Yellowstone a few years ago where a tree fell into the water. Fun. I flyfish about 40 years and do Tenkarafishing about the last three years. My words are true – I know it. That’s a great point, Eberhard. An unweighted wet fly can sit in the film and do well. I think the success I’ve had (and many other fly fishers have had) on dry flies that have gotten wet and sunk just below the surface is proof of this. Neither Dave or I have had the urge to try Tenkara yet, but maybe someday. There are a few places I fish where it would work quite well.